Randal Heeb had just lost a hand to Joshua Gordon, handing over the chip lead in the process. 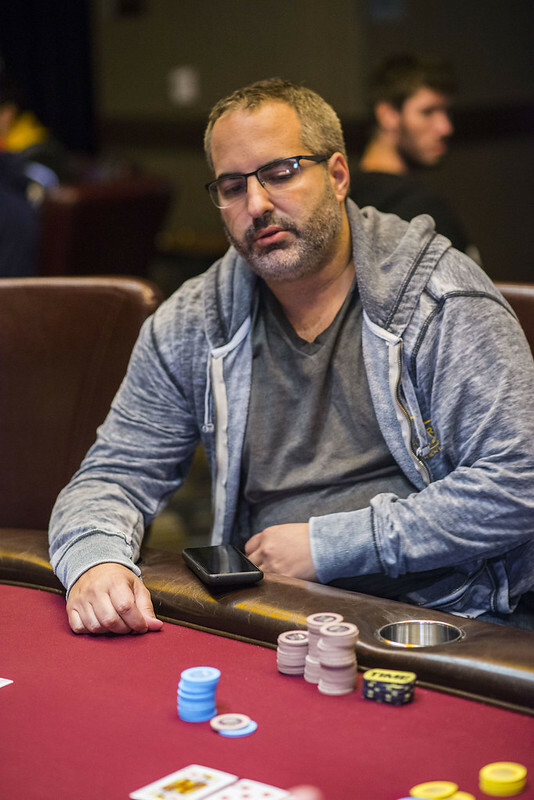 But he earned some chips back soon thereafter after eliminating Matt Glantz (pictured below) in 11th place. In the hand Heeb opens for 60,000, then when it folds around to Glantz who pushes all in for about 550,000, Heeb calls. Glantz shows and has live overcards versus Heeb’s , but the board comes and Glantz is out.